A lot has changed in Asheville over the past few years, but the city’s commitment to crafting the world’s best beers still remains. If you are a craft beer enthusiast planning a visit to Asheville, we have five reasons why a trip to Wicked Weed Brewing should be at the top of your list. Ashville isn’t just known for its amazing craft beers, it’s also famous for exceptional cuisine. 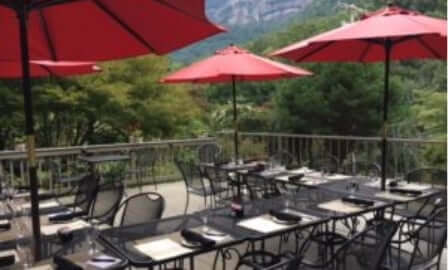 After you get a taste of Wicked Weed Brewing, find more local recommendations for breweries, restaurants, and more by downloading our free Chimney Rock vacation guide. If you are thirsty for West Coast hoppy ales, dry North Carolina apple ciders, or authentic Belgian ales, you will find them all at Wicked Weed Brewing. Business partners and friends, Walt and Luke Dickinson, first launched Wicked Weed in 2009. Although they have always offered an expansive craft beer menu to their followers, their menu truly took flight in 2017 when they entered into partnership with Anheuser-Busch. Speaking of taking “flight”, cheers! Wicked Weed Brewing has three distinct locations: the Pub, the Funkatorium, and their newest addition, the Brewery. The historic Pub in West Asheville was built in the 1920s and housed Wicked Weed’s original 15-barrel brewery. Today, the two-story building features a downstairs beer bar with over 20 distinct offerings. In addition, visitors will find an expansive outdoor patio, bottle shop gift shop, and more. Although this brewery first opened its doors close to 100 years ago, Asheville’s best craft beer can still be tasted at this historic pub today! The Wicked Weed Pub and Funkatorium both offer a full-service restaurant with a variety dining options. Enjoy a cold beer alongside delicious eats like sandwiches, burgers, soups, and salads. Not sure what to order? Try the fried chicken sandwich with house kimchi and miso mayonnaise! You can expect these regular offerings on the Pub’s daily menu. However, you will find weekly beer pairing dinners (every Tuesday) and unique brunch offerings (on Sundays) at the Funkatorium. Whether you are touring the original 15-barrel Pub, exploring Wicked Weed’s sour and funky barrel-aging program at the Funkatorium, or visiting the 50-barrel Brewery (Wicked Weed’s newest addition), there is no shortage of wonder of surprise when you take a brewery tour! Learning about the beer making process and seeing the hard work that goes into brewing each batch is key to gaining a true appreciation for the craftsmenship that goes into brewing your favorite beer. Drinking craft beer with your best friend is great, but alongside your favorite furry friend, it is even better! Both The Pub and the Funkatorium are family-friendly facilities. We know that nothing is truly family-friendly if your dog can’t be a part of it, so you will be happy to know that both locations feature a complete and wonderful, dog-friendly patio with plenty of seating for you and yours! Book Your Stay at the Esmeralda Inn & Restaurant! After a tasty day at Wicked Weed, take a short drive back to The Esmeralda Inn & Restaurant. 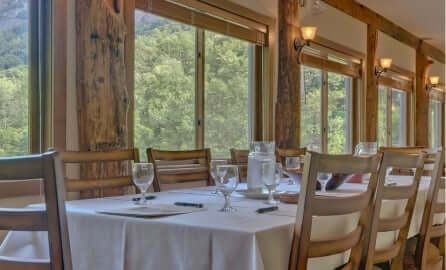 Continue your craft beer excursion only steps away from your log cabin rental at the Esmeralda Restaurant, where we feature a rotating selection of craft beers from some of Asheville’s favorite local breweries. 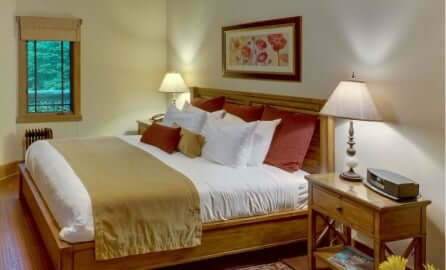 Whether you are searching for an intimate retreat or a spacious cabin getaway, The Esmeralda Inn & Restaurant has it all. Enjoy a picturesque and romantic getaway in one of our Terrace King rooms, or stay in one of our spacious log cabins for the ultimate Blue Ridge getaway with friends. 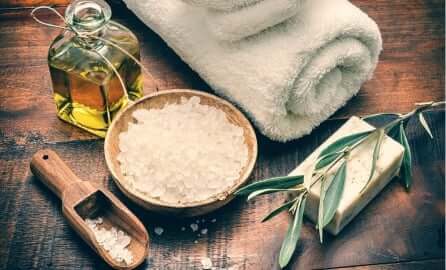 No matter which accommodation you choose, our inn is dedicated to offering guests with a wonderful escape filled with warm hospitality, excellent amenities, and some of the best mountain views in the area. Still feeling thirsty after reading about Wicked Weed Brewing? Read our blog to discover some of our favorite local Asheville breweries!